A recipient of the Nobel Prize (1913) for literature, Rabindranath Tagore (1861-1941) was born in an affluent Bengali family. The versatile genius developed an acute sensibility towards various art forms such as literature, poetry, dance and music. He was well aware of contemporary cultural trends around the world. 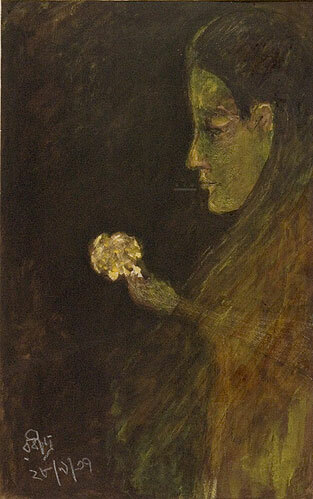 Tagore’s journey as a painter began in his late sixties as an extension of his poetic consciousness. 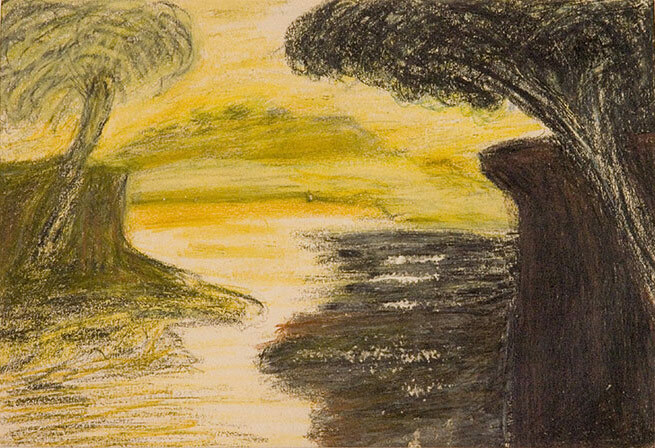 Though he had hardly any formal training in art, he developed a highly imaginative and spontaneous visual vocabulary, enhanced by a sound understanding of visual art practices such as modern western, primitive and child art. 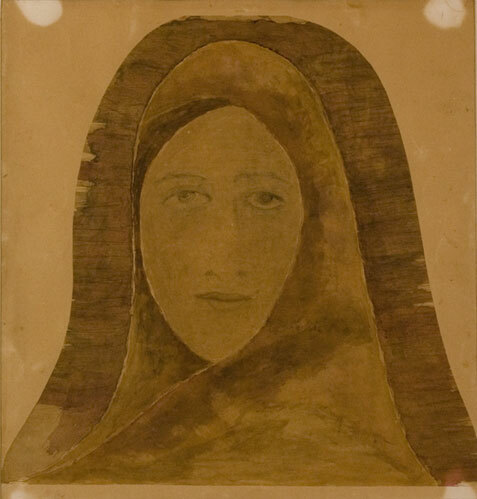 Beginning as a subconscious process where doodles and erasures in his manuscripts assumed some form, Tagore gradually produced a variety of images including fantasized and bizarre beasts, masks, mysterious human faces, mystic landscapes, birds and flowers. 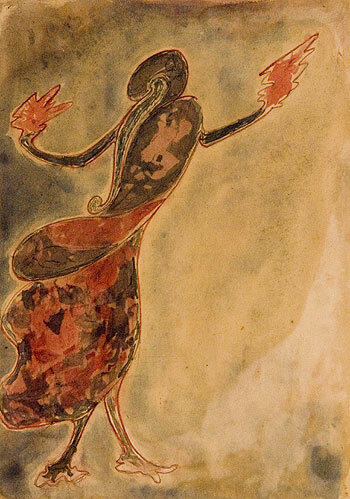 His work displays a great sense of fantasy, rhythm and vitality. A powerful imagination added an inexplicable strangeness to his work that is sometimes experienced as eerie and evocative. 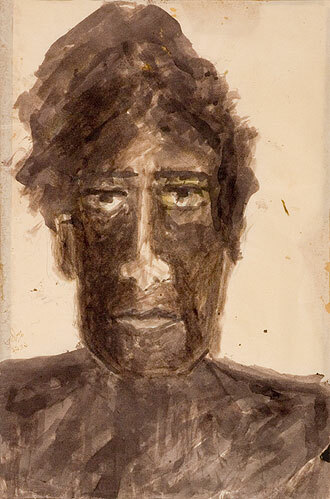 Tagore celebrated creative freedom in his technique; he never hesitated to daub and smear coloured ink on paper to give life to his disquieting range of subjects. 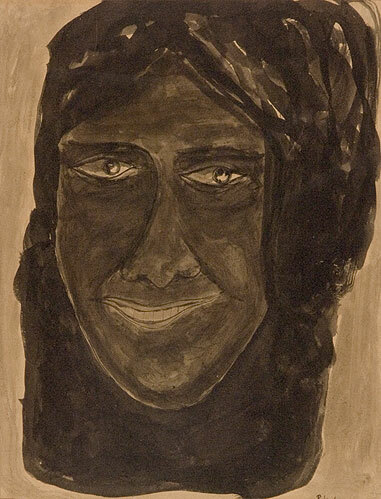 His drawings and ink paintings are freely executed with brush, rag, cotton-wool and even his fingers. 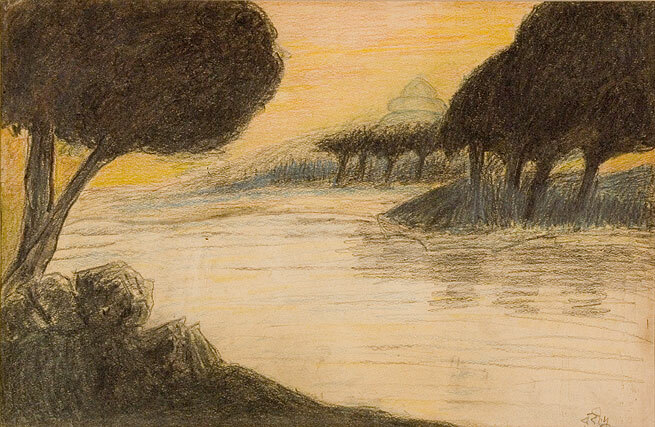 For Tagore, art was the bridge that connected the individual with the world. 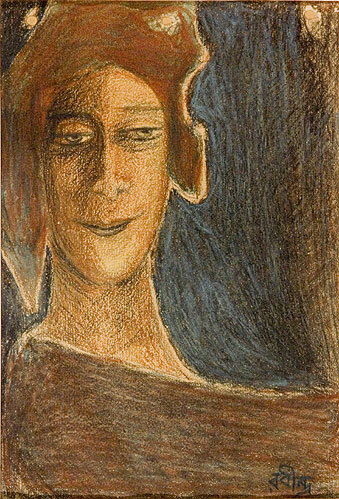 A modernist, Tagore completely belonged to the world of his time particularly in the realm of art.